On one occasion Danielle Moore, of Bittern Close, Ipswich, played the explicit R&B track Grind On Me by Pretty Ricky so loud it could be heard over the television in the flat below. Moore pleaded guilty when she appeared before South East Suffolk Magistrates Court to breaching a noise abatement notice three times – on November, 12, 23, and December 18. 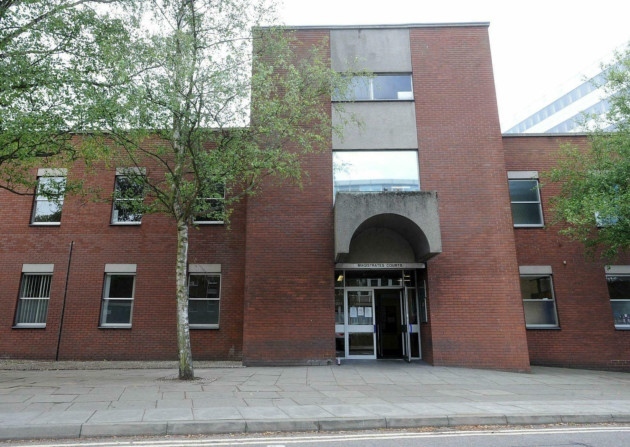 The 26-year-old, representing herself in court, said since she received a letter from Ipswich Borough Council (IBC) notifying her of the court case she had made huge efforts to keep the noise down in her home. She told magistrates she has sold all of her stereo equipment and speakers, and only has her TV on low volume. Moore also apologised profusely to the court. Moore was fined £100 for each of the breaches and must pay £200 towards prosecution costs, as well as £20 to the victims’ fund. IBC served a noise abatement notice on November 10 after it received complaints about the loud music coming from Moore’s flat. However, two days later an environmental health officer was called to the flat below Moore’s after another complaint. The officer arrived at Bittern Close at 8.50pm. She could see Moore’s light was on and the blinds were open and a silhouette of a female could be seen. After going into the complainant’s ground floor flat she could hear loud ‘rap-type’ music coming from Moore’s property. It could clearly be heard over the television in the complainant’s bedroom. Shortly after 9pm the music was turned up. At 9.05pm it stopped but started again two minutes later. On November 23 another environmental protection officer went to Bittern Close at 1.40pm after reports of more loud music in Moore’s flat. Grind On Me was clearly able to be heard from the living and bedroom areas of the flat below. Five minutes after arriving the officer heard the occupant of Moore’s flat scream “Argh for **** sake”. The music was still audible despite the screaming. At 12.10am on December 18 two council officers went to Bittern Close again following a complaint of being disturbed by loud music coming Moore’s property. The rap music playing was being sung by an unknown male singer. After around 15 minutes raised voices belonging to a man and woman could be heard. The music stopped around 12.30am..